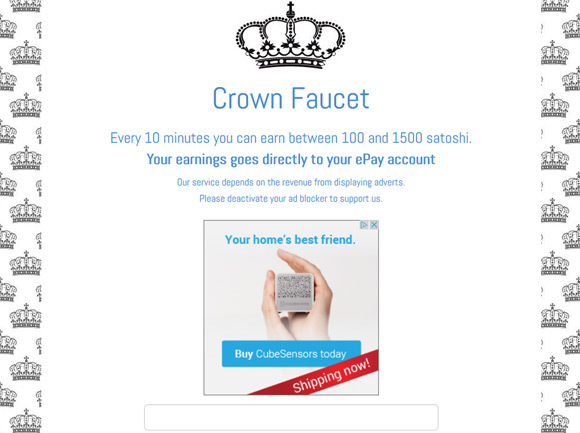 The Crown faucet is a standard faucet that gives you free Bitcoins every 10 minutes. You can request the faucet to dispense a reward every ten minutes you can earn between 100 and 1500 satoshi each time you do it. 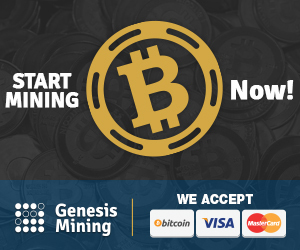 To get your reward from this faucet you need to enter your Bitcoin wallet address, pass the captcha check and click on the Claim button to get you winning paid out to your ePay micropayment account. You can collect from multiple faucets in your ePay account and when the minimum amount of 5865 satoshi is reached the service will automatically send you the coins to your Bitcoin wallet address. 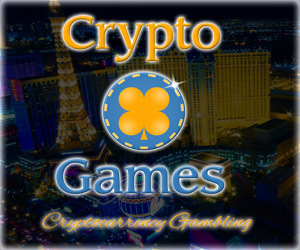 The faucet also offers an affiliate program that can secure you some extra profit by introducing it to your friends. A referral bonus of 50% of what they earning can be yours while they still get their full reward.